Size: Required XSmall - 84" poll - tail or reg. 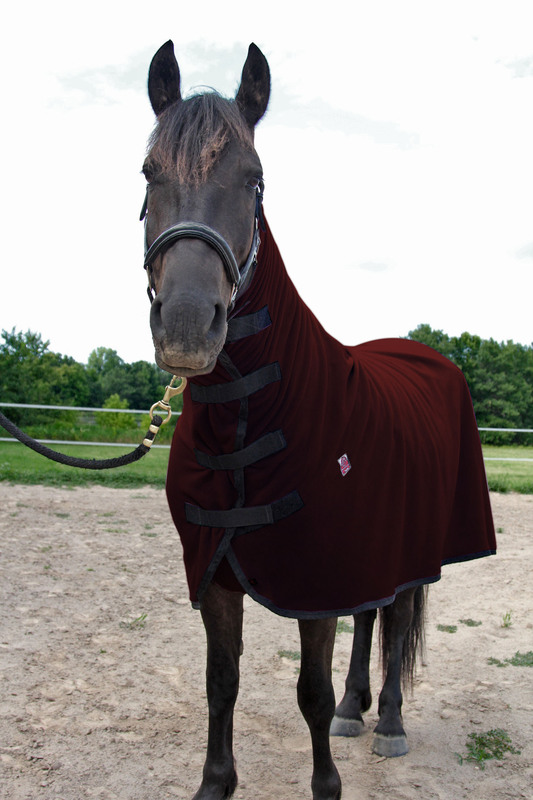 blanket 60"-64" Small - 90" poll - tail or reg. 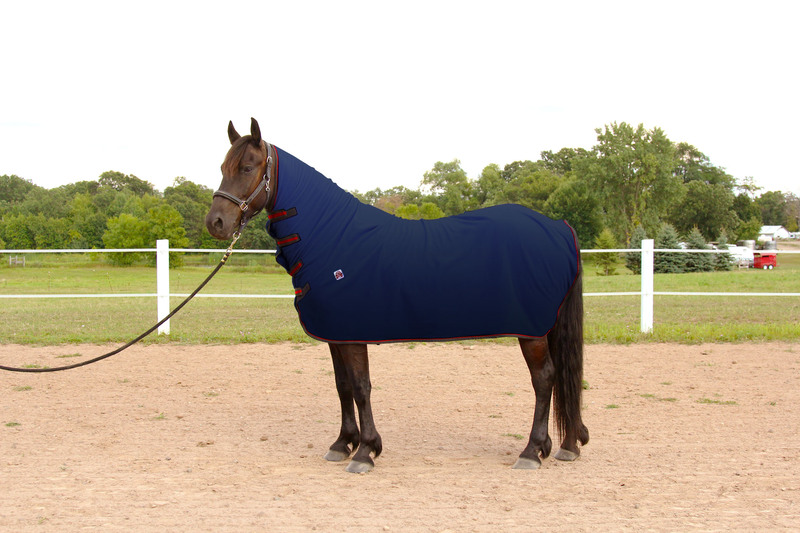 blanket 66"-70" Medium - 96" poll - tail or reg. blanket 72"-76" Large 102" poll - tail or reg. 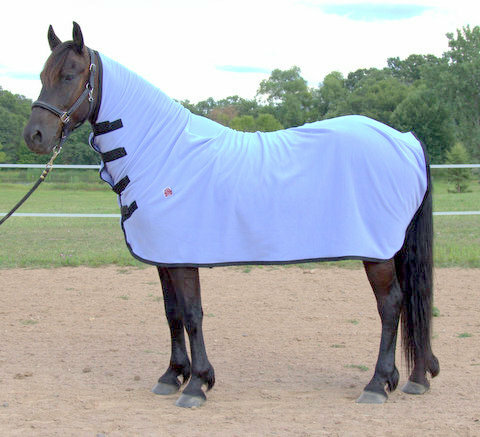 blanket 78"-86"
WIKSMART first dry all over cooler Gets your horse dry in half the time. Reasons why it's the best cooler! 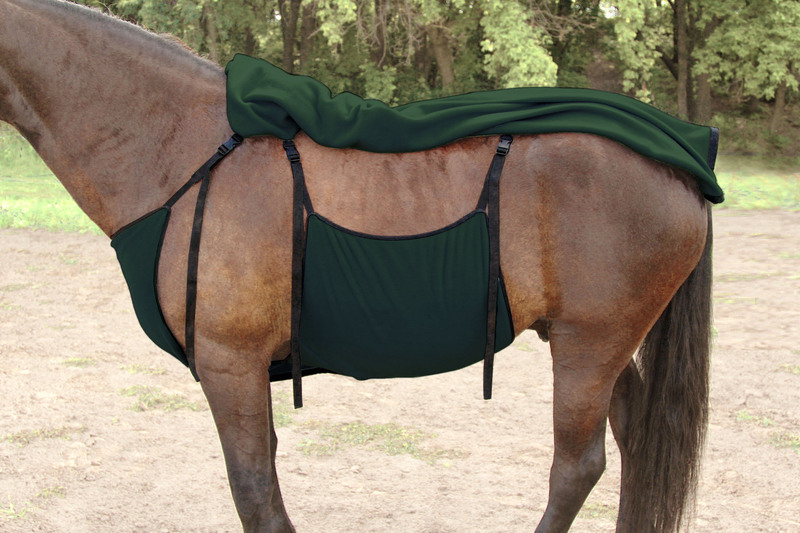 More Surface Area Coverage – Belly, Chest and Neck Panels cover areas where horses actually sweat, becoming wet. 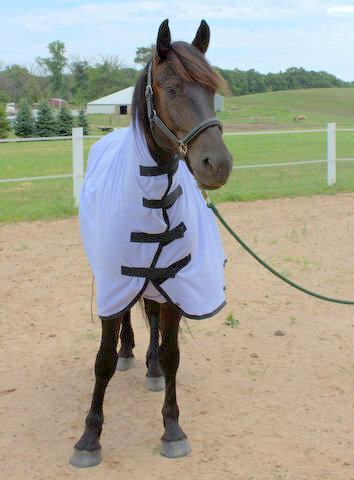 This eliminates the need for towelling the underside of the horse. Plus keeps your horse warmer. Snug Fit – WikSmart Coolers fasten snugly, speeding up the moisture diffusion process from hair to fleece cooler. 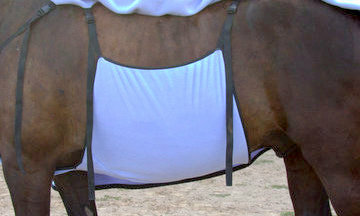 Adjustable Velcro to the horse’s neck, belly, and chest. Heavy Fleece – 300 g fleece, many other commercial coolers are made of thin 100 - 200 g fleece. The cooler is now contoured and has velcro front closures under the neck (not clips) like the one featured in the video above. Measure your horse from poll to tail. Order the size that is closest to the poll to tail measurement, e.g. horse is 90″ long from poll to tail, that would be a Small.